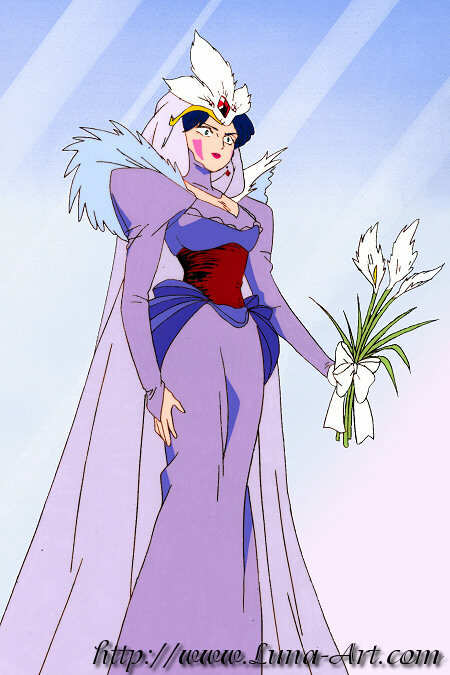 Usagi (disguised in a wedding gown) is standing with the other contestants in a homemade wedding dress competition. The announcer is about to begin the competition when he is interrupted by a drum roll. The curtains pull back to reveal Usagi's home economics teacher, Higure Akiyama, dressed in her beautiful homemade wedding dress. Ms. Akiyama has actually been possessed by the youma, Widou. Pan Cel that measures: 17" by 10"